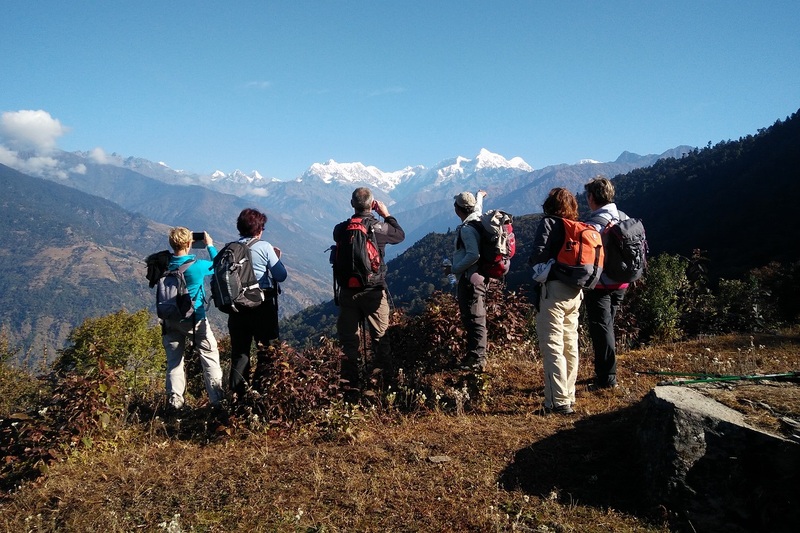 ikey Peak is a great adventure to dive into the Nepalese countryside of Solukhumbu. This region is inhabited by Sherpa, Magar and Tamang among other people and holds high shamanic beliefs. From the top of Pikey Peak, you enjoy a panorama of hundreds kilometers long on the highest snowcapped mountains of the Himalayas: the Lhotse, the Makalu, the Kanchenjunga and of course the Mount Everest. J1 Route pour Charikot (1980m) – 6h. J2 Route pour Jiri (1950m) – 2h30. Jiri – Shivalaya (1790m) via pass (2340m) – 5h / +500 / -630. J3 Shivalaya – Bhandar (2150m) – 6h / +900 / -515. 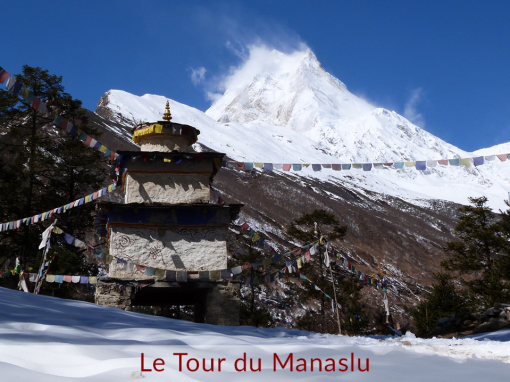 J4 Bhandar – Gompa (2900m) – 6h30 / +1455 / -765. J5 Gompa – Pikey Peak Base Camp (3600m) – 5h30 / +1130 / -120. J6 Ascension de Pikey Peak (4068m) – 1h30 / +418. Pikey Peak – Lamjura-la Pass (3530m) – 6h / +312 / -850. J7 Lamjura-la Pass – Junbesi (2700m) – 3h / -830. Excursion au Monastère Thupten Chöling (2920m) et retour à Junbesi – 3h30 / +220 / -220. J8 Junbesi – Ringmo (2720m) – 5h30 / +420 / -400. J9 Ringmo – Phaplu (2400m) – 5h30 / +150 / -470. J10 Retour à Kathmandu en jeep – 12h ou vol – 25min. You will find below information regarding your stay in Nepal. Feel free to contact us for any other question. Nepal is a country of 147 181 kms² in which 30 million inhabitants live. The capital city Kathmandu gathers itself more than 3 million people. The official language is Nepali, but dozens of local dialects are also spoken, as well as English in most of the touristic parts of the country. In 1990 the ruling King Birendra Shah withdraws the ban over political parties and forms a government. The new Constitution establishes a multiparty constitutional monarchy. But in 1996,the maoist party tired of the corruption running at the top of the State calls to the People’s War. In 2001, the King Birendra and a large part of the Royal family are murdered. Birendra’s brother, Gyanendra, is crowned as the new King. In 2002 he fired the Prime Minister telling he is incompetent to solve the maoist conflict and awards himself the full powers to rule over the country. At the same time the maoist guerilla takes advantage of this unstable politic and increases its hold over the people leading to more and more deaths. Finally, in November 2006, an agreement is found in between the Maoists and the head of the country under the action of the United Nations. People’s War comes to an end with a total of 13 000 people who died. Then, in April 2008, Maoists win the elections and vote the abolition of the monarchy. Then the Federal Democratic Republic of Nepal gets born. Nepal is a country landlocked in between China and India which spreads on 200 kms from north to south and 800 kms from west to east. Its geography is the result of a topographic change which oscillates from 70 meters to 8848 meters above sea level and splits the country into three distinctive zones: Himalayas at the north in the region of the mountains and covers 16% of the country gathering 8 of the 14 highest peaks on Earth. The hills cover 65% of Nepal and are found from 500 meters to 3000 meters. In the south spread the plains of the Terai offering perfect lands for agriculture with an altitude ranging from 70 to 300 meters. Nepal is organized in four climatic seasons: Spring from March to May, Summer from June to August, Autumn from September to November and Winter from December to February. The year is divided into two typical seasons: the monsoon or rain season goes from June to September and the dry season goes from October to May. During the monsoon 80% of annual rainfalls occure. No need to say that the rest of the year is quite dried! Therefore, this rain season is very important for agriculture. Nepal is a tropical country with high elevation where warm clothes can be necessary in any season. Think about it if you come from India or from a South-East Asian country. Located at the junction of various climatic areas and presenting a diverse topography, Nepal enjoys a large panel of animal and vegetal species. In the mountains, one can find the famous snow leopard and danphe well known by visitors as well as the yak. Little bit south, it is possible to spot barking deers, black bears, langur monkeys or spotted leopards. In the plains of Terai live tigers of Bengale, one-horned thinoceros and gharial crocodiles. Moreover, in Nepal, more than 850 species of birds are registered, that is 9% of the birds species registered in the world. More than 6500 species of trees, plants and flowers have been listed in Nepal. Generally Nepal is a faithful country with religion being present everywhere in the cities and villages with temples and monasteries existing everywhere. All religions pacifically coexist since ever and Nepalese are proud to say that no religious war has ever existed during their history. The Nepalese food is quite simple but generous. The national dish is called dal bhat made from rice, lentils soup and vegetables curry. The rest of the Nepalese cuisine is influenced by their neighbors: China, Tibet and India. In touristic areas, one can easily find continental dishes (Italian, French, Mexican…). A passport valid until six months after the returning date is compulsory. You also need a valid visa (15, 30 or 90 days) that you can obtain from the Nepalese consulate in your country or directly while entering Nepal. The visa application form can be filled online on Internet here. On your arrival in Kathmandu, you are requested to give to the local team 2 passport-size photos and the photocopy of your passport. How are you? : Tapaailai kasto chha ? - Always use your right hand to give or receive something. Nepalese said that left hand is impure. You will also notice that Nepalese people eat with (right) hand, it is a custom. You can do it as well if you wish or ask for a spoon if you feel uneasy to eat with your fingers. - As soon as your lips have touched food or its container, it is considered as jutho (polluted) for others. Do not propose to anyone and do not eat in someone else’s plate. - Beef meat is forbidden in Hindu and Buddhist religion. For this reason, it is hardly available in Nepal. Moreover, no female animal is slaughtered for its food. - Whenever you enter at somebody’s place, in a Buddhist monastery or in a Hindu temple you will have to remove your shoes as a sign of respect and cleanliness. In some Hindu temples, the access is refused to the non-Hindu, take it easy. In case you are allowed to enter, do not take photos without permission. Do not enter carrying leather items (shoes, belt, wallet…). And if you observes carvings and mandalas (metal, stone…) on the ground do not step on it. - Men should not be bare-chested. Women should avoid to show their legs and they have to cover a maximum their shoulders and their knees. - Any form of intimacy in between man and woman is a taboo in Nepalase culture. Avoid to hold each other’s hand, to hug each other and to kiss each other in public places. - Be patient, Nepalese have a cool and relax way of life. Anger and impatience will not solve problems. - Finally do not forget the tradition of tips for your guide, your porter and the trekking team. They expect to receive something from you at the end of your trip. We do insure our local teams but not our customers. 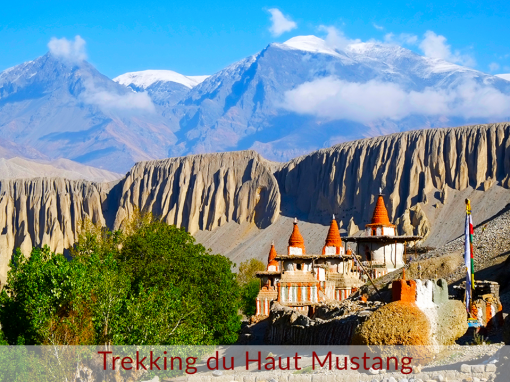 It is, for this reason, essential that you contract a travel insurance before coming to Nepal. This one should cover 100% of your repatriation costs if you fall sick or get hurt and you cannot continue the trip. Make sure that your insurance contract covers the costs of your evacuation higher than some altitude (as it is not always the case) as well as the costs of repatriation of a dead body (as it is not always the case as well!). The Acute Mountain Sickness or Acute Altitude Sickness can touch anyone higher than 3000 meters id the body is not properly acclimatized. The main causes are a too-quick ascend and a lack of hydration. First symptoms are headache, tiredness, insomnia and a loss of appetite. If these symptoms appear, it is a sign that your body is not acclimatized enough. It means that you have to stay at this elevation waiting for them to disappear. If symptoms get worse (extreme tiredness, vomiting, loss of coordination, short breath, cough…) it can be an high altitude cerebral or pulmonary edema. These two kinds of edema can be quickly fatal if ignored. You immediately have to lose altitude and descend several hundreds meters. To avoid this, your body need a proper acclimatization and hydration, so take your time and drink a lot. There is also a preventive and curative treatment: Diamox (ask to your doctor). Before each trekking, trekkers should obtain the Trekker Info Management System -TIMS- card. This one is compulsory. The system registers all details about the trekker (name, passport number…), the company leading him/her and the route of trek. NepalaYak will arrange this formality for you. This system has proved to be vital in trekkers’ rescue in case of emergency or natural catastrophe. Since the month of December 2013, European Union has blacklisted all Nepalese airlines and forbid them to fly over the European sky. Though, this airlines continue to fly in Nepal and sometimes we are using them to avoid long land transfers or to access to remote regions isolated from the road network. You have to know this and travel in Nepal without ignoring it. However, if you refuse to use these domestic flights, you can let us know and we will arrange your trip differently, as per your wishes. We will not be liable for no information about it. It is important to know that trekking lodges cannot be booked in advance. For this reason, during the peak season, lodges of some villages can be full. In that case, we will try our best to satisfy your expectations but you have to understand that you may have to share your room with someone else or to sleep in dormitories. Some domestic flights are visual flights, not using instruments. Pilots will not take the risk to take off if the visibility is poor or if the weather is bad. For this reason flights can be delayed, or cancelled. In this case, we will do our best to take you to the place differently. And if it is not possible, you will have to change your trekking destination. In no case NepalaYak will be liable for this and if there is an extra cost, the customers will have to bear it. The guide or the group leader has full authority on the group. While going under NepalaYak management you agree with this. If you commit an illegal action and/or if you show behavior harmful for the rest of the group, your guide can ask you to leave the group without getting your money back. If your guide believes that your health condition is not good enough to complete properly the trip, he can also ask you to leave the group without getting your money back. NepalaYak is given the right to modify the cost of its trips in case of events independent of our control: government action, increase of our contractors’ rates, euro/dollar exchange rates… Efforts will of course be made to avoid the change of the initial rate fixed by us. You are spending your holidays in Nepal, a developing country. For this reason, it is important to remind that western standards are not the same here. We try our best to offer you a service accordingly with your expectations but sometimes, this one will be under what you were hoping for. Thank you for your understandings. Though, NepalaYak listens to your suggestions. If we can, itinerary, hotel changes will be made during the program. It is not a modification of your trip and these changes will not be financially compensated. In case of force majeure (weather, government action, accident, natural catastrophe…) independent from us, NepalaYak will has the right to modify the progress of your trip for the comfort and the security of all. In no case these modifications will be financially compensated. 7 days trek maximum, altitude <4000m, ideal for families and non-initiated to trekking, for occasional and/or regular hikers. Maximum elevation of 4000-4500m, walking 5-6 hours per day, daily altitude cumulated difference of maximum 800m, for regular hikers. Walking 5-7 hours per day, crossing one high pass, daily altitude cumulated difference of 1000m possible, for good hikers. More than 10 days trekking, good physical condition required, at least one high pass to be crossed and overnights spent at high altitude (4000-4500m), for trained hikers. 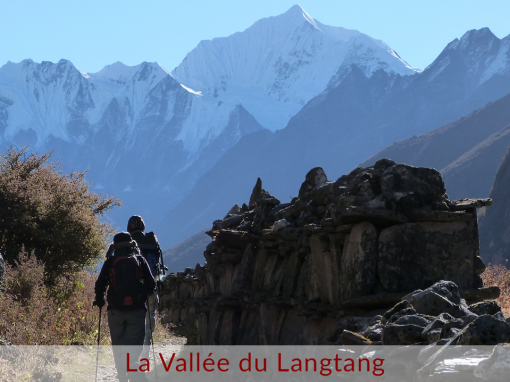 At least 2 weeks trekking, very good physical condition required, altitude >5000m, several high passes to cross, several days and nights at very high elevation (>4500m), for expert hikers.